Cold rolled steel, because it is rolled below its recrystalization temperature, retains it hardness and strength, but is not as ductile as hot-rolled steel. Sometimes, it is annealed after the rolling process to make it more workable. For more information – or to start your order – contact us today. 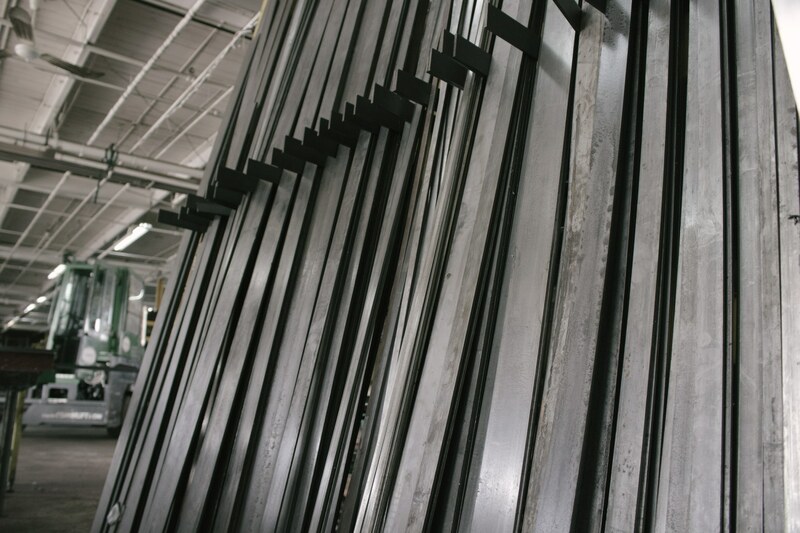 Coated Grades: CS-B Type: Aluminized, Electro-Galvanized, Galvanized, Galvannealed Thicknesses: 26 ga thru 8 ga Widths: 30", 36", 40", 48", 60", 72"
Cold Rolled Grades: CS-B, DS-B, 1008 Type: Matte Finish Light Oil Thicknesses: 28 ga thru 10 ga Widths: 36", 48", 60", 72"
Hot Rolled Grades: CS-B, HSLA Gr 50, HSLA-F Gr 50, HSLA-F Gr 60, SS Gr 36, 1030, 4130, A572-50, A606, A606-4 Type: Dry, P&O Thicknesses: 16 ga thru 6 ga Widths: 36", 48", 60", 72"